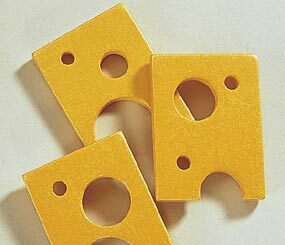 Bright yellow wooden cheese slice for kitchen or market play. European beech painted with non-toxic paint. Measures 2.2" x 1.7".